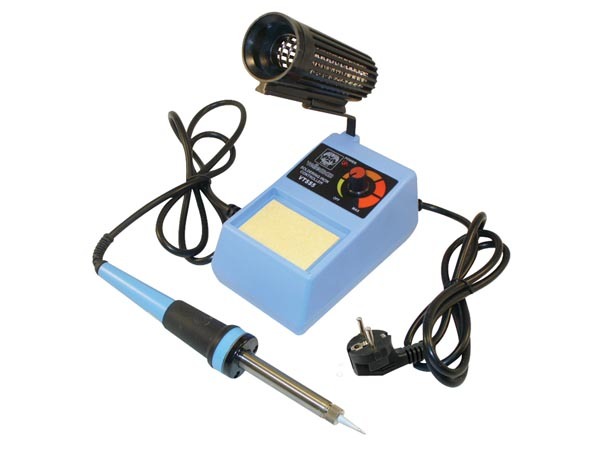 Velleman VTSS5 is a general purpose temperature controlled soldering, which has adjustable temperature range from 175 - 480ºC. Adjustment is made by means of a rotary potentiometer located on the front of the soldering irons base. Supplied with sponge and stand.